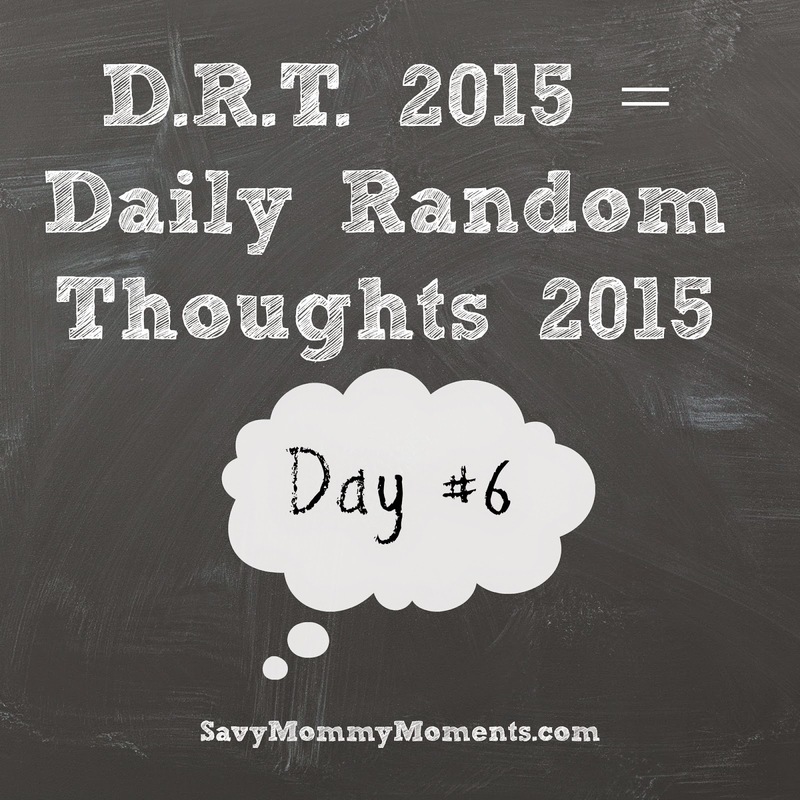 So today's post isn't going to be anything too exciting, but today I made the decision to abbreviate Daily Random Thoughts 2015 to D.R.T. 2015 in the blog post titles moving forward. I hope you enjoyed Day #6 of Daily Random Thoughts 2015. Check back tomorrow for Day #7! Click here to catch up on the entire series. Make sure to follow me on FACEBOOK,TWITTER, INSTAGRAM and PINTEREST for lots of fun stuff and to stay up to date on new blog posts!